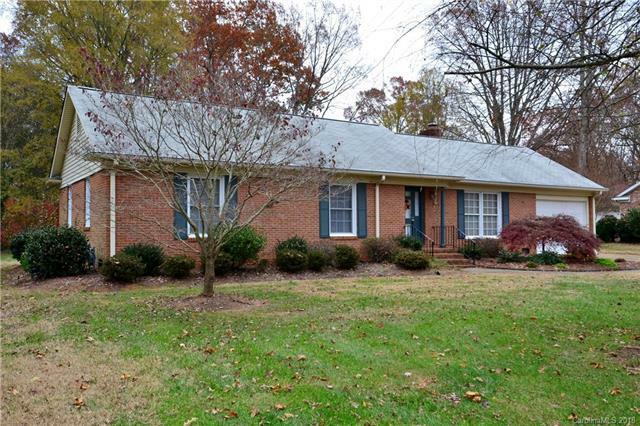 Brick Ranch in a desirable neighborhood/location. Hardwood floors through most of the home. Kitchen updated in 2013 with all new SS appliances, easy close doors & pantry with pull out shelves. Additional upgrades include: New A/C unit in 2017, furnace recently inspected, Gutter Guards, Re-insulated attic & crawl & added new vapor barrier in 2015, new surround & door in main in 2015, irrigation system, instant heat water heater & more. You can curl up by the gas log fireplace or enjoy the outdoors on the covered patio. Detached garage with wired workshop area for your man cave. Tons of storage behind attached garage. All appliances stay including refrigerator, washer, dryer & upright freezer. Energy efficient. This home is being sold as-is with no know issues. It has been well loved and maintained. MOVE-IN ready! Sold by Home Realty And Mortgage Llc.